Cheesecake that looks and tastes like traditional NY style cheesecake…but without all the fat, calories, and sugar. A large serving of this high-protein, low-carb cheesecake is only 110 calories, 6g fat / 5g carbs / 10g protein. The recipe makes 9 servings total. You can even further reduce the fat if you use fat-free cream cheese, but I prefer the flavor using reduced-fat cream cheese. Preheat oven to 325 degrees F. Mix all ingredients either by hand, in a blender, or with an electric mixer. Pour into an 8×8 pan sprayed with cooking spray. Bake at 325 for 15 minutes, reduce the temperature to 200 and bake for 40 more minutes. Chill in the refrigerator for at least 4-6 hours before slicing and serving. Top with toppings of choice, and enjoy! 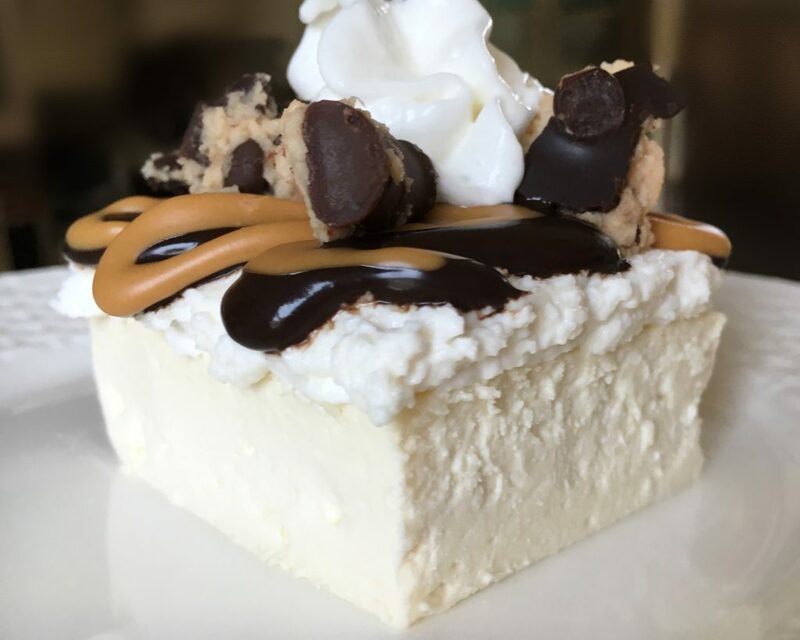 Pictured above topped with Whipped Vanilla Cream Frosting, Dark Chocolate Sauce, and Protein Cookie Dough from The Healthy Cake Cookbook, as well as a drizzle of almond butter. You can eat them on their own, cut into pieces and add to ice cream or yogurt, or use as a topping for any of the desserts in The Healthy Cake Cookbook, The Healthy Donut Cookbook, or The Healthy Brownie Cookbook! 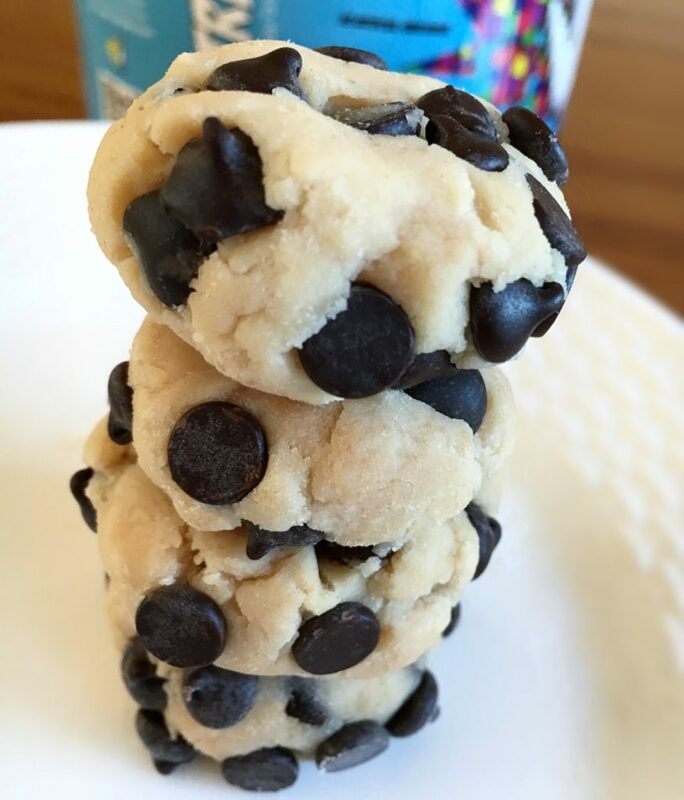 Mix the dry ingredients with the wet ingredients, add chocolate chips, form into balls, and enjoy! Store in the refrigerator for freshness.